Although it is early in the championship points season for The O'Reilly Auto Parts Friday Night Drags, drivers already have their eyes on the division standings as fierce battles are beginning to come into focus. "We do watch the points," said Cliff Waters, driver of a 1985 Ford Ranger in the Super Pro Division. "It makes it competitive for us. We thrash during the week to get down there to the track." According to Waters, they run a small block Ford engine, which is one of the smallest cubic inch motors in the division. "We get into checking the truck every week making sure that everything is up to par before we get out there on the track," explained Waters on the team's weekly preparation, "and make sure we are capable of running with those guys in the Super Pro class." Waters and the 1955 Chevy driver Mike Weaver trail division leader Robert Cheney and his 2014 American Dragster by four points in the standings entering week seven action this Friday. "We are constantly working on the truck adding stuff or checking things to see if we can make it go faster," said Waters. Other division points battles include the QuikTrip Pro Division where Kevin Mayo, driver of the 1969 Chevy Nova has a four point advantage over second place driver Doug Ragan. The New Edge Division has a tight battle between the Mustangs for first, with Jacob Turner and his 1993 Ford Mustang, and Chase Ponder and his 2010 Mustang each tied with four points. While the 2018 Dodge Charger Hellcat driven by James Alexander, Zach Brown and his 2017 Corvette Stingray, and 2016 Dodge Challenger driven by James Walker are all tied with three points for second. Chad Greenway, in his 2001 Pontiac Firebird, has a comfortable two point lead over the second place 2015 Dodge Challenger piloted by Eric Moseley in the Diamond Resorts Factory Street Division. This week's Peach Pass Burnout Zone Competition will focus on the Super Pro Division. Fans attending the event will determine the winner of the competition by making their vote through cheering for their favorite competitor. 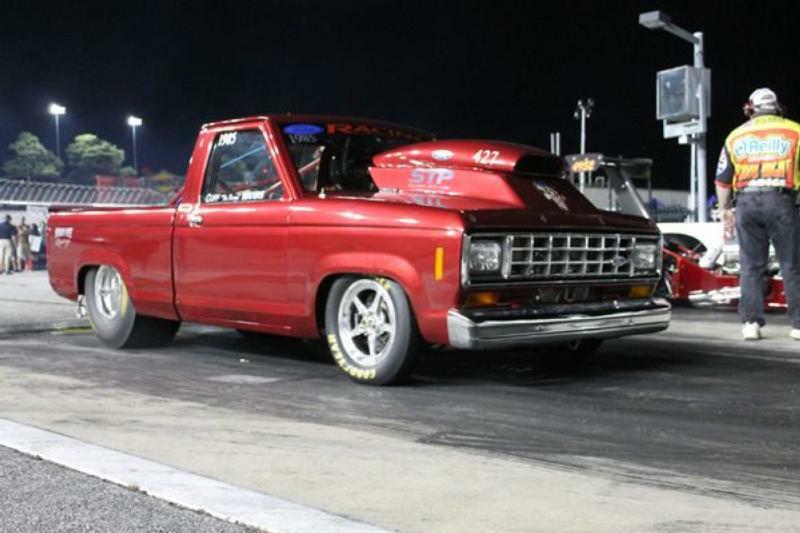 The point season continues this Friday as drivers and riders return to the pit lane drag strip at Atlanta Motor Speedway in week seven action of high-intensity, side-by-side competition on the famed pit-lane drag strip.